$53.99 & FREE Shipping on orders over $59. I scream, you scream, we all scream for...BEER!? When discussions of a flavored stout kit came about, everyone had their own opinion. "I think we could use a chocolate stout". "A vanilla stout would be more unique". "If we're going for unique, let's make a strawberry stout!". After not being able to agree on one of the three, it hit one of us. Combine them all to create an old school classic: Neapolitan! In this kit, we include 4 oz of our Tcho cacao nibs, 4 oz of our natural strawberry flavoring, and 3 vanilla beans. 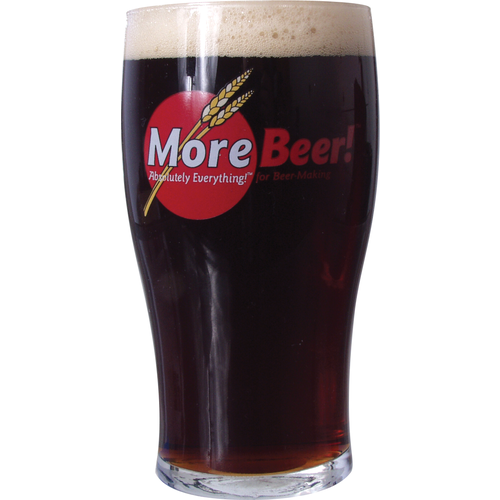 The result is an incredible flavor that will have you and your friends craving something new for dessert: The MoreBeer! 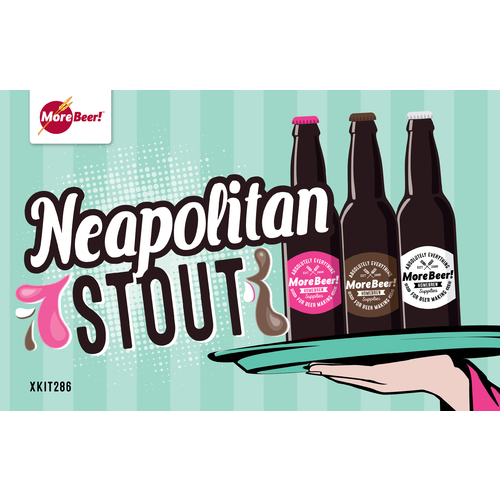 Neapolitan Stout! 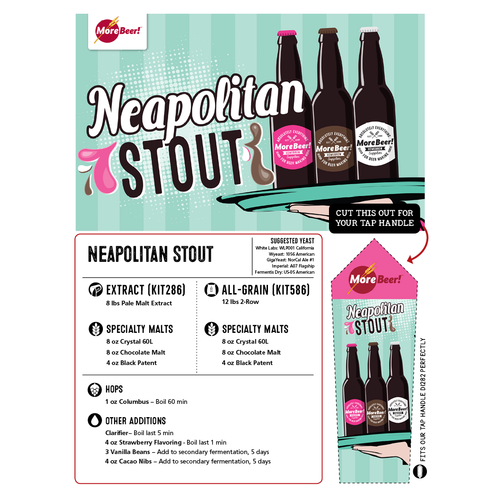 If you want to take this to a whole new level though, combine this beer with some ice cream to make a neapolitan float! I am a fan of More Beer Stouts. I thought this sounded interesting. The beer is currently in the fermenter and doing well. I was going to wait to do a final review but this was the third email I received asking for a review. It’s almost as bad as Amazon asking for a review an hour after the package arrived on my doorstep! This is by far the best Stout here. My favorite kit and very popular with the wife and anyone else who tries it. Even people who don't like Guinness enjoy this chocolatey vanilla fruity bomb. Glad I have two. This is a spectacular kit! I've been doing this awhile and I am drinking it green during the Superbowl. Very impressed and I know what it will taste like after some time in the beer cave, but I like it now....great sign!! Pick one up for a special holiday treat. All the flavors come through and none are overwhelming..Nicely done!